Since I wear jeans and I don’t carry a hand bag, I hope they will keep making iPhone 5 sized phones. I bet there will NOT be a 5.8” and 6.1” at the same time. In fact, I don’t believe in 6.1” at all. But then the Notch will be so big for that 5.2”. The mockups aside (for the reasons mentioned earlier in the thread w.r.t. "edge-to-edge" really only possible with OLED - we think...:), the rumour should not be dismissed out of hand. 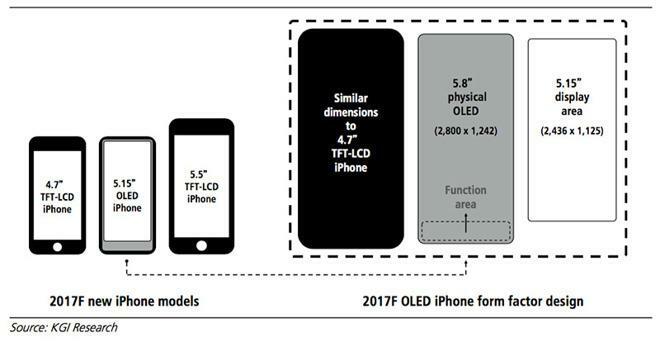 Keeping an LCD display on a "new" model, to allow expanded supply of new phones (due to expected still tight supply for quality OLED panels) makes sense. OLED panel prices are likely to remain elevated. Allows a new phone to hit that lower, premium point Apple hits now with iPhone 8/8+. With the information that the 8+ is outselling the 4.7" 8, there is also a logic to focus on the larger size. 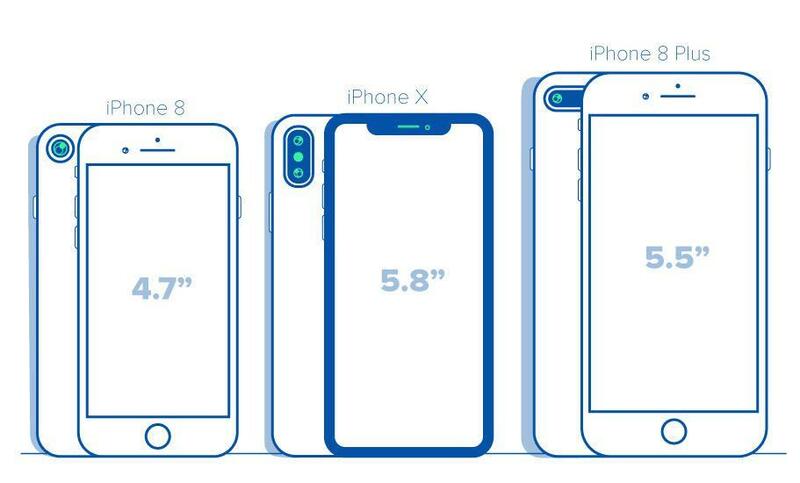 With the second year of the iPhone X models (and possible larger one), even more demand is expected for the X's, so why make the two models of LCD - ditch the 4.7" size. Why 6.1"? As noted in the article, without the home button it could be possible to make the LCD screen a little bigger in that "plus size" chassis. Certainly a way to shake things up a bit but still have an LCD in the lineup with the size that is becoming the most popular. There would still be the 8 series, and 7 series, and possibly an updated SE, to round out the line. And based on some analysts I follow, the bet is that Ming has sources (or at least information) out of Foxconn that he pays for, and is why he has a reasonable accuracy around new products which comes out of there (but not s/w). The timing might be off, and the whole controversies of struggling between A & B made up, but overall he is more accurate than most with features of new phones. In related news... Apple to announce release of Smart Murse Cover and Smart Murse Case, available in five colors, silicone, standard leather, and Louis Vuitton "Edition" models available for its giant new phones. Enlarging the 4.7" to the 6.1" size (by keeping the resolution the same: ~ 326 ppi) does not make sense. Thus 6.1" must have a higher resolution to approach or match the 8 Plus content. You’re mixing resolution with total pixels. I wish people would understand that resolution is ppi, not total pixels. The 6.1 would have a lower resolution than the 8+, but the same number of pixels total. you will see the current SE disappear soon, as committed demand for that form factor dissipates. It may be a 'nice' format, but it won't be maintained. To lower developer and app package sizes, Apple can't support every point/pixel combination. My guess is they will standardize on 375ptx8129(/667)pt and 414pt/1080P width phones. Resolution is the number of horizontal and vertical pixels, density is the PPI. A screen with 1080p resolution will have 1920 x 1080 pixels no matter what its size. It doesn't matter if it is a 10" tablet or a 65" TV it will have the same 2,073,600 pixels. If the rumored 6.1" LCD has the same pixel density of 326 as the iPhone 8 then it will have a higher resolution. Assuming the same aspect ratio as the iPhone X, the screen on the 6.1" LCD would have a resolution of approximately 1,805 x 835 compared to the iPhone 8 of 1,334 x 750. Hard to say. Apple had low expectations for the SE and then demand outstripped supply. It took them months to catch up to demand. I don't think the SE size will ever get a flagship-level of redesign, no (much to my chagrin), but I think the form factor might stick around longer than you expect. Consider: Apple continued to sell a MacBook Pro with spinning disc drive until last year. The home button, the smaller display, and the headphone jack may be headed out the door, but these things don't happen overnight. It takes time to get consumers to come around to a new way of doing things, and Apple (quietly) knows this. I suspect the 6s and the SE will be around for a bit longer. I wouldn't even be surprised if the 6s gets rebranded/renamed and updated with a newer CPU next year for those who want a home button and headphone jack. The rumors say a new SE coming next spring. Aside from a processor bump (does it get the A10 or the A11? ), a 3D Touch display would be a logical upgrade. Beyond that, and a slightly improved camera, I wouldn't expect much. They're not going to give it a redesign and make it more attractive than the iPhone 8. OK that is possible but that is what doesn't make sense. The width in points must be closer or the same of a Plus, so that it can fit more content horizontally than a 4.7". If it displays the same content horizontally as a 4.7" then there is already 5.8" iPhone X, an 6.1" is pointless. If it displays more content horizontally than a 4.7" (and 5.8" iPhone X), then that makes a little more sense, that would place it somewhere between the regular 4.7" and the Plus. Without the exact physical dimensions it is easy to get lost with similar triangles. I only know of one journalist who tracked the predictions of the Apple analysts, Phillip Elmer DeWitt. Don't know if he still does this or not, but AI could really bolster the credibility of the site by giving each analyst an score, let's just call it the "Analyst Safeguard Score" for the sake of argument. A permanent page devoted to their individual accuracy would provide readers with a quick and easy way to determine which analysts should be dismissed as complete jokes and which should be viewed as having some measure of credibility. I never considered the analyst honorifics bestowed on them by their own press releases as carrying any weight. Just saw on "The New Screen Savers" podcast the host Megan Morrone being viewed in slo-mo video through an infrared camera while using Face ID. It's interesting. The "dots" are more like a grid projected onto the face in extremely rapid fashion. When people with ZERO creativity trash your comment. It’s really cool to see and it’s obviously a first gen product. I see Apple doubling the dots for better recognition and AR and increasing the range accuracy. TwinGate may be out the door. I see. Sorry I was going by graphs and anecdotal conversations at the Apple Store. 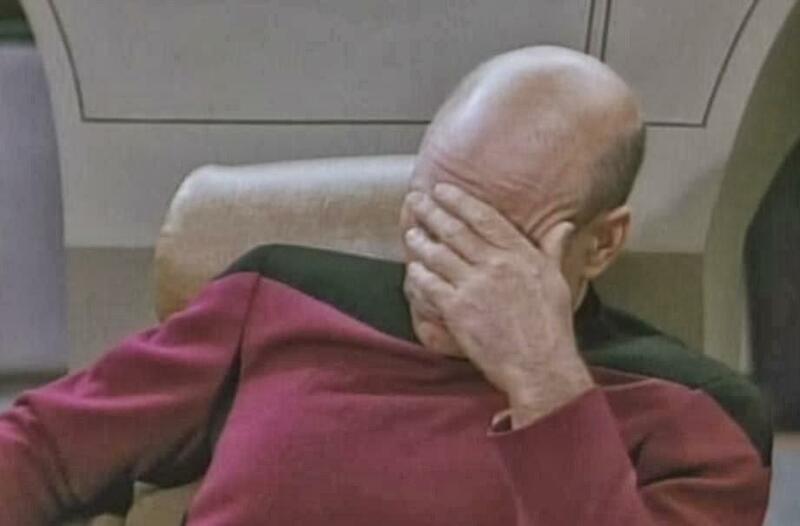 People were laying the X on top of their Plus and exclaiming “wow the screen is actually larger”. I didn’t doubt it after seeings graphs like the one pictured. but really are you gonna skip the phone over a few centimeters? The line between X Plus and iPad mini is very blurry. There is probably enough area on an X Plus to run iPad apps but the aspect is off. It will be interesting to see where it all goes. This would be the most confused poorly differentiated Apple product family since the Preforma series. That really not correct. It’s gained common usage, but it’s still not correct. Resolution is the number of pixels, dots or lines resolved per inch, centimeter, or whatever other measure being used. Incorrectly, for Tv people speak about a resolution per width and height, but it’s still incorrect. We now see that being used for phones, and it’s still incorrect. There’s no such standard as density for resolution. It doesn’t exist. It’s another made up word from people who don’t understand standards. It’s too bad these things have entered common usage, because it’s now impossible to stop it. But, it’s incorrect, no matter how many people stamp their feet over it, or get blue in the face. Well, I didn’t mean it literally. The point was that while 326 is a lower resolution, if the screen is wider, it could have the same total number of pixels across it. It depends on the screen’s width times the total pixels. We really don’t know anything about next year’s phones yet, so I was saying that about the two. Once Apple tells us what is really happening, we’ll know, but not before.